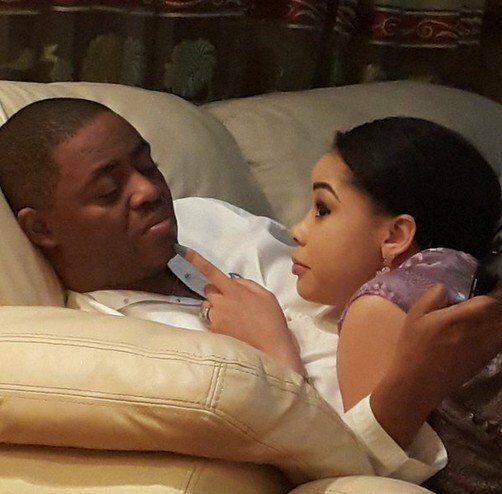 In reaction to the story that his marriage to his wife, Precious is heading for divorce, Femi Fani Kayode has debunked the story with a post on social media. It was posted online that Femi’s 4th marriage to Precious is heading to the rock because Femi is denying responsibility for the pregnant wife. An undisclosed source said that the Former minister of Aviation informed members of his families that the pregnancy did not belong to him. He claimed the pregnancy belongs to a US based, DJ, Mr. Fani-Kayode. A story Femi called “Malicious stories” in a recent post. Just yesterday, Kayode posted a picture of him and his wife having a nice time in an Hotel in Lagos State where they are having a nice Pre-Valentine’s outing. He said Valentine’s day came so soon for them as a couple. They took a vacation and are presently in Lagos to enjoy Family time. Reacting to the divorce Story, Femi opined that the killing in the country should be the priority for everybody in the society rather that fake malicious stories about his marriage. He called out those spreading the news and tell them to ‘Grow up’. “It is obvious that @SaharaReporters have nothing better to do than to fabricate malicious stories. Their shameful story about my marriage to @Snowhitey1 and my children is fake news. People are being killed and our country destroyed and that is the garbage they write? GROW UP!